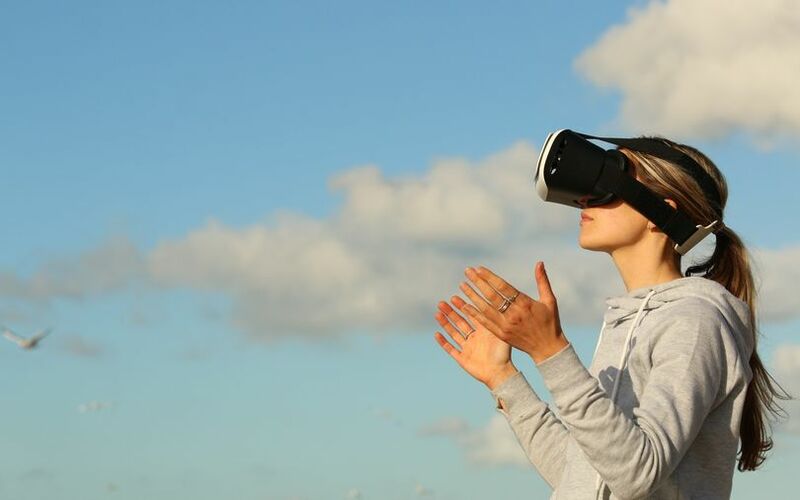 Oxford VR, an offshoot of Britain’s University of Oxford, has developed a therapeutic virtual reality (VR) programme to help people overcome their fear of heights, according to research published in medical journal Lancet Psychiatry. The VR programme immerses participants in environments such as rescuing a cat from a tree or picking fruits, the report said. It was built as part of research at the British university that looked into how virtual therapy could help overcome acrophobia - the fear of heights. “It is just the most common type of phobia, and one we know a lot of people do not get treatment for despite it impinging on many people’s lives quite a lot,” said Daniel Freeman, co-founder of Oxford VR. Freeman is a clinical psychology professor at the university and is the lead author for this research programme. He pointed out that while earlier approaches used VR to assist with therapies, acrophobia is the first branch of mental health that can be completely tackled with VR even without the presence of a trained therapist. The experiment involved splitting 100 acrophobes into two groups. The first group was asked to put on a headset for half an hour twice or thrice a week for a fortnight. The second group was asked to carry on without treatment so that a comparison could be made. An avatar coach then guided the subjects through a virtual world, asking them to perform simple activities such as crossing a ramshackle bridge to explore and associate thoughts behind their fear. Out of the 49 people given therapy, 47 people took at least one VR session with an average of four-and-half sessions for the group. More than half the group reported a reduction in fear. The development comes months after the National Institute of Health Research (NIHR), UK announced an investment of £4 million in VR therapy for mental health problems — a project led by Freeman. It is currently exploring VR’s therapeutic applications in conditions ranging from clinical depression to schizophrenia, added the report.